So you’ve gone and booked a big ol’ flight across the pond. The siren call of wildly cheap airfares to Europe proved too strong to resist -- you may even have snagged one of those $99 fares on Primera Air this spring. When planning your grand European adventure, it’s all too easy to obsess over the essential, big-ticket experiences: taking selfies with the Eiffel Tower, munching pizza near Trevi Fountain, trying to steal the hats off of those Buckingham Palace soldiers. But don’t get bogged down by box-ticking. Better to give the beaten path the finger, and head off to explore lesser-known gems in hidden valleys and un-cruise-shipped coves. As you’re no doubt aware, Europe is absolutely stacked with postcard-worthy villages and historical small towns, and if your itinerary has wiggle room, it’s worth steering yourself away from the capitals to explore them. Worst case scenario: you’ll wind up with a more authentic, more rewarding vacation. 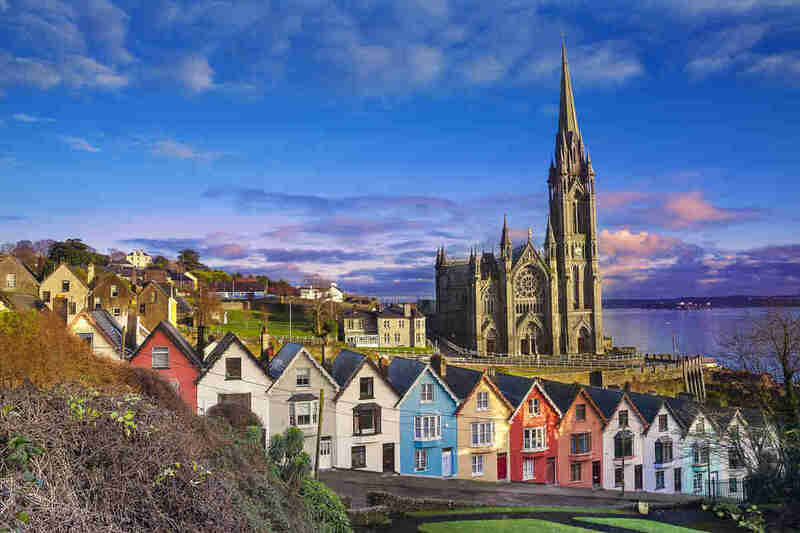 Cobh (pronounced “cove,” obviously) has seen its fair share of visitors -- mainly the millions of 19th-century emigrants who boarded ships bound for new lives in America. It was in fact the Titanic’s final port of call, so the spire of St. Colman’s Cathedral was probably the last thing Jack and Rose saw on the horizon before the iceberg. Nowadays the painted hillside cottages look over a sleepy harbor and waterfront promenade, with a Victorian bandstand for impromptu folk gigs. Oh, to be a glazier in Berat. It’s known as “the town of a thousand windows,” but that’s probably an underestimation -- in the historic old town of Mangalem, Ottoman-era houses are stacked up the hillside, each with neat rows of wood-framed glass all along their gleaming white walls. It’s worth hiking all the way up to the castle to meet the locals who still live inside the medieval walls, and for the view of minarets and church towers across the Osum valley. 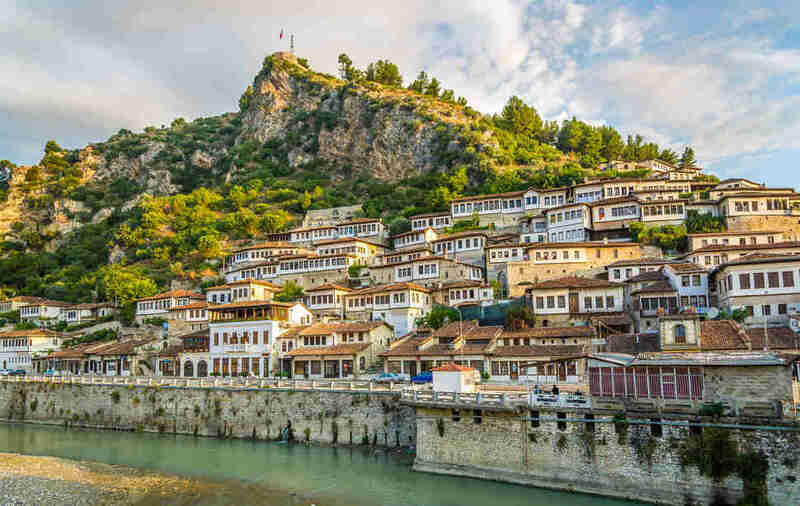 Berat’s cultural chops were given the official thumbs up in 2008, when UNESCO awarded it World Heritage status. Tip: stick to the old town, and skip the urban sprawl of modern Berat, further down the valley. 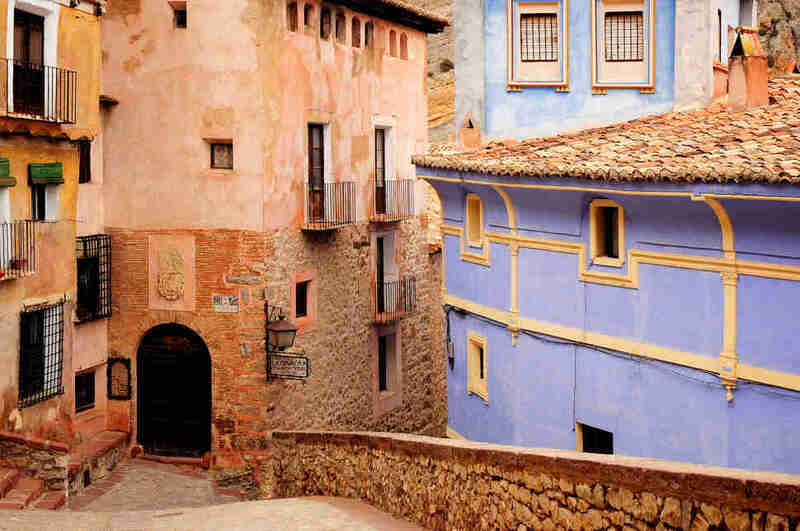 You can instantly see why there have been such fierce fights over Albarracín throughout history. It’s strategically perched on the side of a stony valley above the Guadalaviar river in central Spain. Also, it’s a really pretty place to call home. The crumbly terracotta houses are clustered between the town’s two major landmarks: the 16th-century cathedral in the historic center, and the Moorish fort on the ridge. It looks like a schlep up the hill, but it’s only 10 minutes and you get a killer view -- not to mention the chance to pretend you’re a Berber warrior. Not that I did that. Honest. Best time to go? September. The summer heat has died down, but more importantly, IT’S FIESTA TIME. Fireworks light up the sky, bulls run loose in the streets, everyone’s in costume... it’s a whole week-long affair, culminating in an animal auction at the town hall. There’s your souvenir for you. 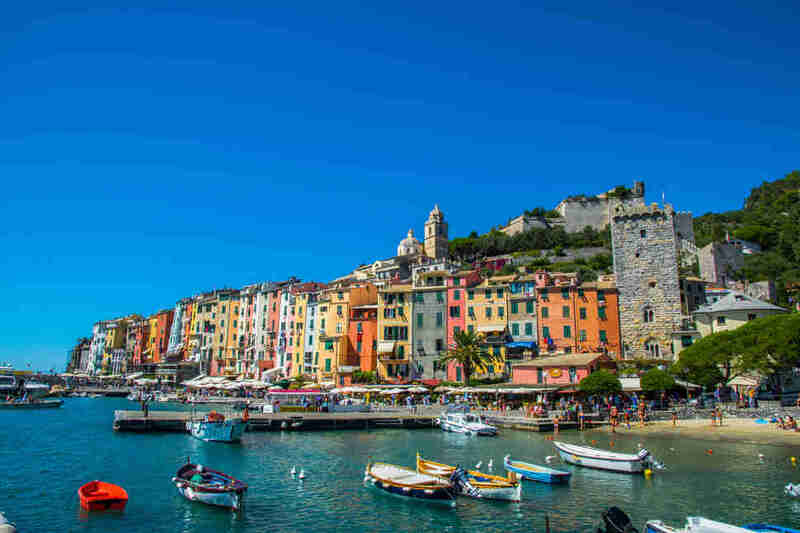 Most visitors to this corner of northern Italy disembark cruise ships at La Spezia, then spend the day shuffling between souvenir merchants and flag-wielding tour guides down the narrow streets of the world-famous Cinque Terre. It’s not that those five cliffside villages aren’t staggeringly pretty, but you should know that there’s a more serene, equally colorful alternative down the coast. Introducing Portovenere: a strategic fort since Roman times, with harborside townhouses built around the imposing Castello Doria. Dive in the clear turquoise waters, or make the pleasingly short pilgrimage to the Gothic church on the headland. From a cave below it, the English writer Lord Byron set out to swim to his buddy Shelley in San Terenzo -- across what is now known as the Bay of Poets. These twin towns straddle a stretch of the Mosel river in an off-the-radar patch of western Germany. 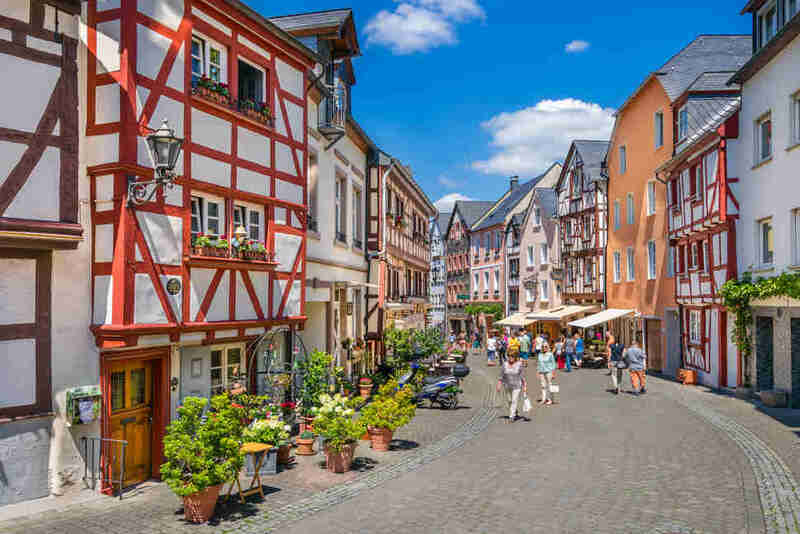 Bernkastel is the handsome one, with a fairytale market square of gabled townhouses that look like they’re made of candy (they’re not). Kues has its own claim to fame as the hometown of the conveniently named 15th-century celeb, Nicolas of Kues. The Moselle Valley is famous for riesling vineyards you can tipsily tour, and it’s a state-designated “health resort” -- which simply means the air’s fresh and the food’s good, not that you’ll be peer-pressured into Pilates. Far too many people go to the south of France and spend the whole time sprawled on the beach or celeb spotting at the marina. Go inland, dammit! In Uzès, creamy limestone streets weave between lavender-scented squares, under the gaze of the cathedral’s ornate belltower. Oh, and there’s a duke, who lives in a castle (naturally) in the town center. 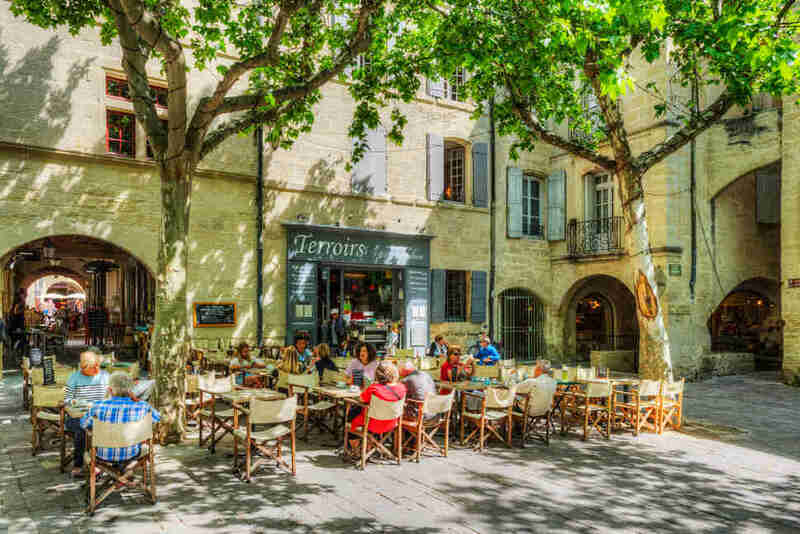 Base yourself here, and you’ll also be near the Pont du Gard, Provence’s showstopping Roman aqueduct. For a glimpse of local life (and some damn-fresh veggies), time your visit to hit the farmers market, in Place aux Herbes every Wednesday and Saturday. If you prefer your produce pre-cooked, La Table d’Uzès is one of several upscale restos -- although none are more satisfying than a no-frills slice of fougasse, a traditional focaccia-style bread stuffed with anchovies and olives. 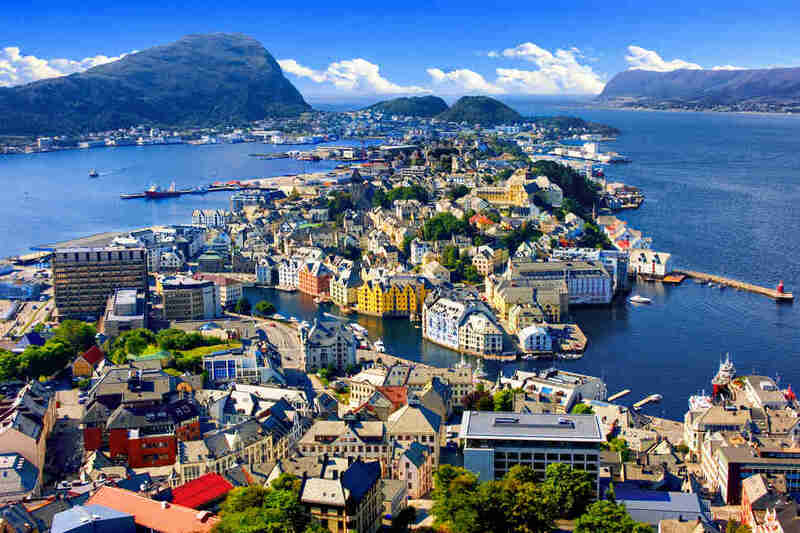 When the fishing port of Alesund burned to the ground in 1904, it might have been tempting to leave the smoldering mess behind and start again somewhere else. But the setting -- across seven islands in a cobalt Atlantic bay -- was too good to pass up. So Alesund was rebuilt, this time (unsurprisingly) from stuff less flammable than wood. As it happened, Art Nouveau was all the rage back then; Alesund scored a whole town’s worth of storybook turrets and pastel facades with twiddly ornamentation, so architecture nerds should absolutely make a point of visiting. Getting to this whitewashed clifftop town is... a challenge. 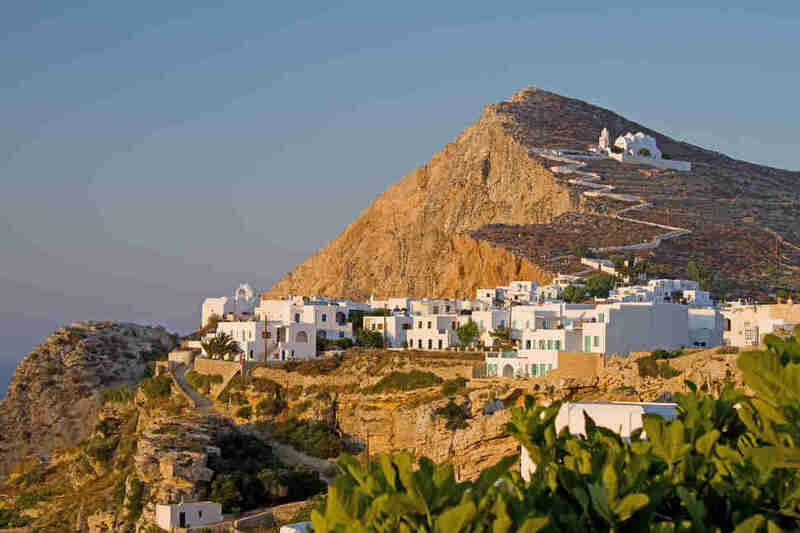 You’ll need to fly into a nearby island like Santorini, catch a ferry to Folegandros, then hop on the bus which zigzags up the hill into town. Your reward is a quaint-as-quaint-can-be Greek classic, with crooked streets leading to flower-filled squares where 300-year-old men swig beers in the sun. And if you’ve got a special thing for cool, unusual doors, prepare to go nuts. It’s a tiny town, but you won’t be short of a square meal. Pounta is a local favorite for breakfast -- fill up on cheesy kalasouna pie, and sip coffee from ceramics handmade by the owner. Try Mama’s Pita for no-nonsense souvlaki kabobs, or head to the jasmine-scented Eva’s Garden for the finest fish on the island. If that belltower looks familiar, it’s because it is: the architect liked St. Mark’s Campanile in Venice so much he decided to recreate it in Rovinj. Beside it, a cypress-dotted park leads down to the tangled streets and harborfront houses of the car-free old town. 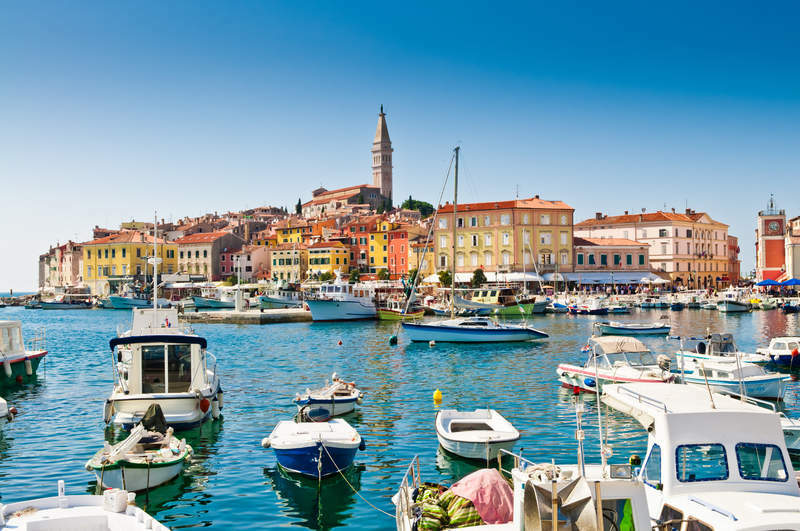 Rovinj is on the Istrian peninsula, just around the coast from Italy, and you’ll be glad to know plenty of local chefs take cues from their friends across the Adriatic. You won’t be wanting for homemade pasta, topped with shavings of prized Istrian truffles, if that’s your kind of thing. 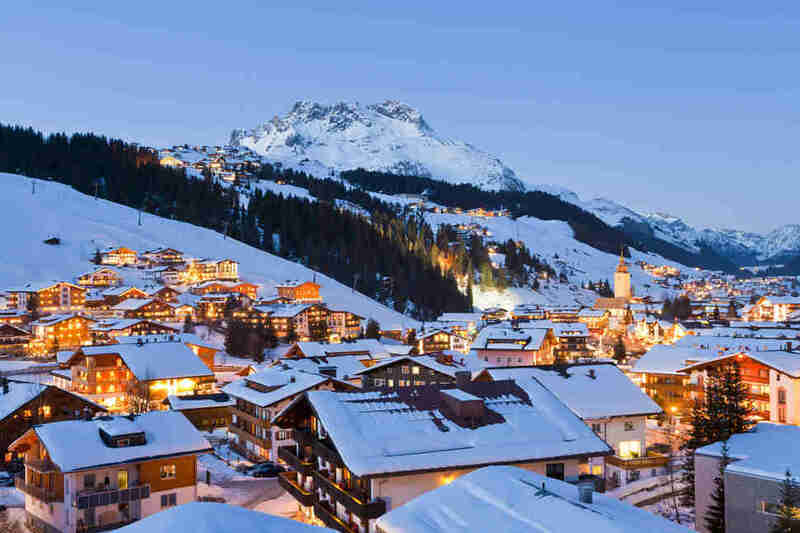 Tom Cruise and Princess Diana have shoop-shooped down the slopes around Lech, but you don’t have to be an A-lister to dig its alpine charms. Hardened skiers can tackle the 13-mile “White Ring” route up and down the valley, while beginners can repeatedly fall over on any of the gentle nursery slopes. Either way, each day ends back in the chalet, looking out to the mountains with a cup of hot cocoa and a slab of apple strudel. 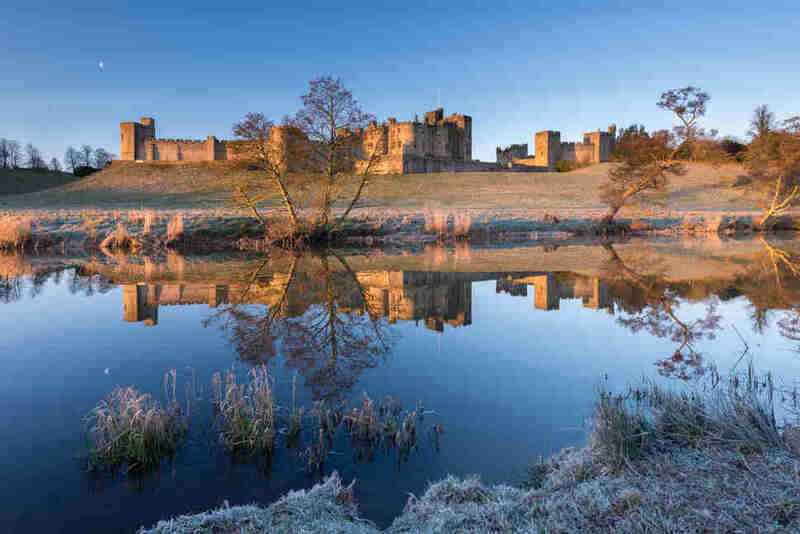 The first thing to know about Alnwick is that you don’t pronounce the "I." Or the "W," and you can skip either the "C" or "K," too, of course. The second thing to know is that Harry Potter and Co. learned to play quidditch outside the medieval castle here, and made no small amount of mischief in and around its courtyards for the first two films in the series. There’s more to it than big-screen backdrops though -- climb to the top of The Treehouse at Alnwick Garden, pick out local produce on market day, and hunt for a bargain at Barter Books, the inimitable vintage bookshop housed in the old railway station.